Housed in a historic water tower, the gallery showcases the work of JD Fergusson, leader of the Scottish Colourist movement, and his wife, modern dancer Margaret Morris. John Duncan Ferguson (1874-1961) was an artist and sculptor, and one of the leading lights of the Scottish Colourists. The Colourists were composed of 4 leading Scottish painters who combined French Impressionist style with traditional Scottish art to create a new, vibrantly coloured style, usually depicting landscapes, models, and house interiors. Fergusson was born in Leith and trained as a naval surgeon before turning to art. He was largely self-taught but was heavily influenced by visits to France, where he was influenced by French Impressionist art, and became acquainted with Matisse and Picasso. His career began before WWI, but it was in the 1920s that he really emerged as a leader in Scottish art, albeit one based abroad. When WWII loomed he moved to Glasgow with his partner, dancer Margaret Morris, and lived there for the rest of his life. After Fergusson's death Morris gave 14 of his paintings to the University of Stirling, then in 1992, a permanent gallery was established in Perth. Though much of the gallery focusses of Fergusson's artwork, there is a fascinating display on the life and career of Margaret Morris. A leading exponent of modern dance, she had a ground-breaking career as a choreographer, author, and movement therapist, as well as becoming an artist in her own right. The gallery exhibitions showcase the tremendous artistic output of this creative couple, with costumes, letters, artwork, sketches, old photographs, and a wealth of documentary material tracing their 50-year relationship. The gallery houses over 4000 works of art, with 150 oil paintings, 20 sculptures, watercolours, and thousands of sketches. You can also see over 450 exhibition catalogues and 200 magazines covering Fergusson and Morris' works. 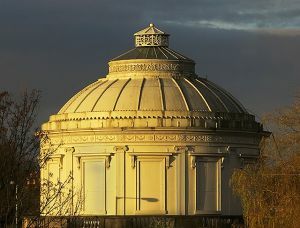 The Gallery is housed in a domed 19th-century waterworks building, designed in 1830 to carry the first plumbed water supply to houses in Perth. 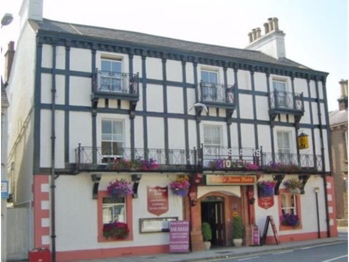 It is one of the very first cast iron buildings in the world, designed by Dr Adam Anderson of the Perth Academy. The domed roof is made from cast iron panels, bolted together, and the tank within was made to hold 146,000 gallons of water. The water tower was in service for 133 years before becoming redundant in 1965. It was used briefly as a tourist information centre and then converted to become the JFD Fergusson Gallery. This well-presented first floor cottage is in the village of Stanley, near Perth and can sleep two people in one bedroom. 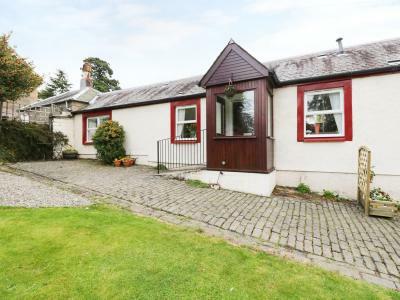 This detached cottage is located on the outskirts of Perth, near Dunkeld and can sleep two people in one bedroom.